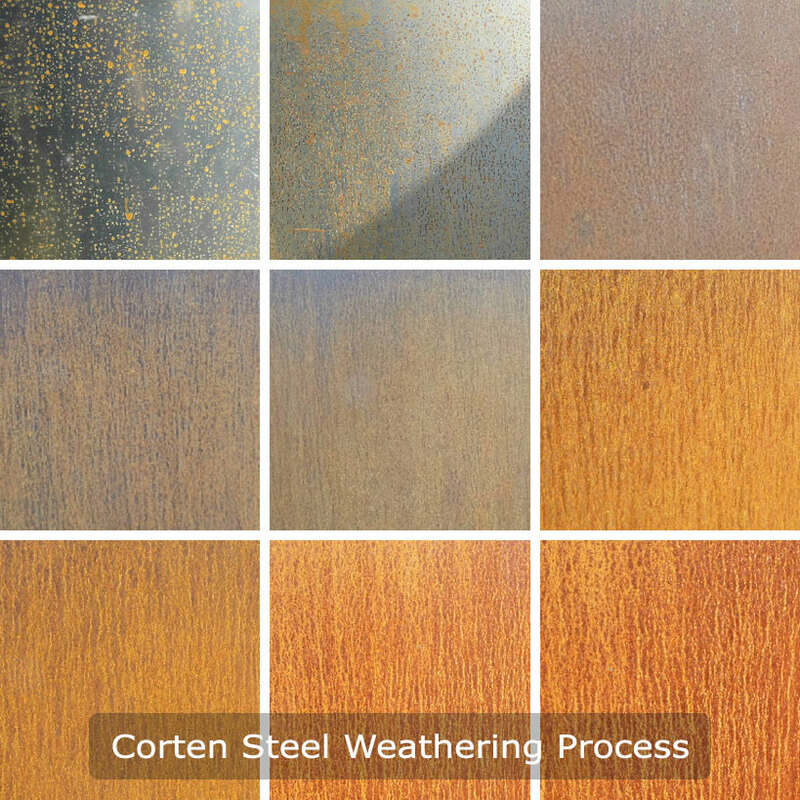 Corten steel, or weathering steel, is a type metal that develops a unique rusty patina over time, its name being derived from the two main properties of Corten steel: a good 'cor'rosion resistance and a good 'ten'sile strength. 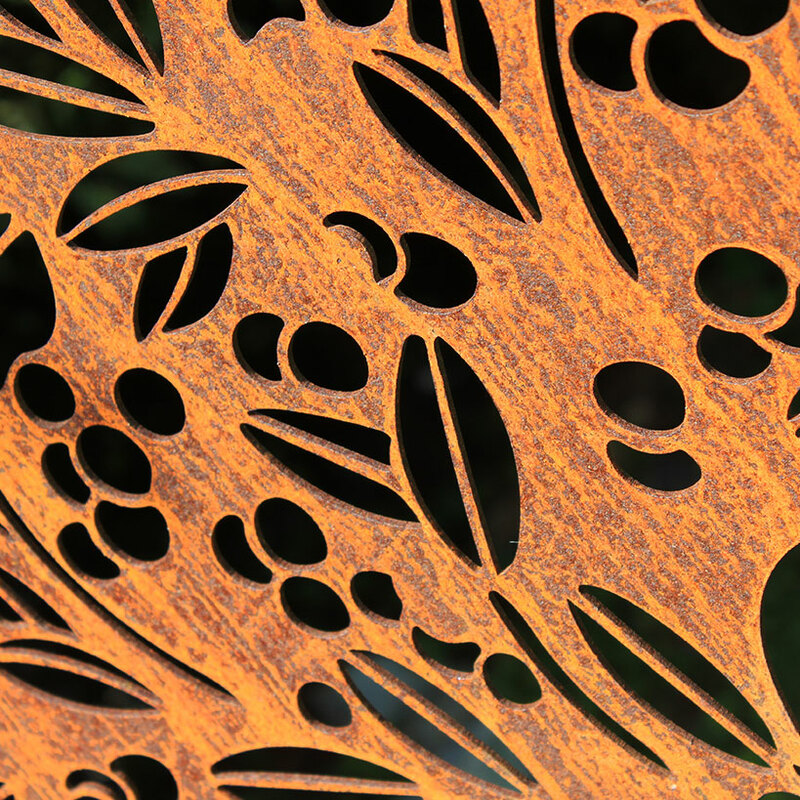 Corten steel has an altered chemical composition which makes it reactive to water and oxygen, allowing a protective layer of rust to develop on the surface while keeping the structural integrity of the steel layer under the rust in tact. 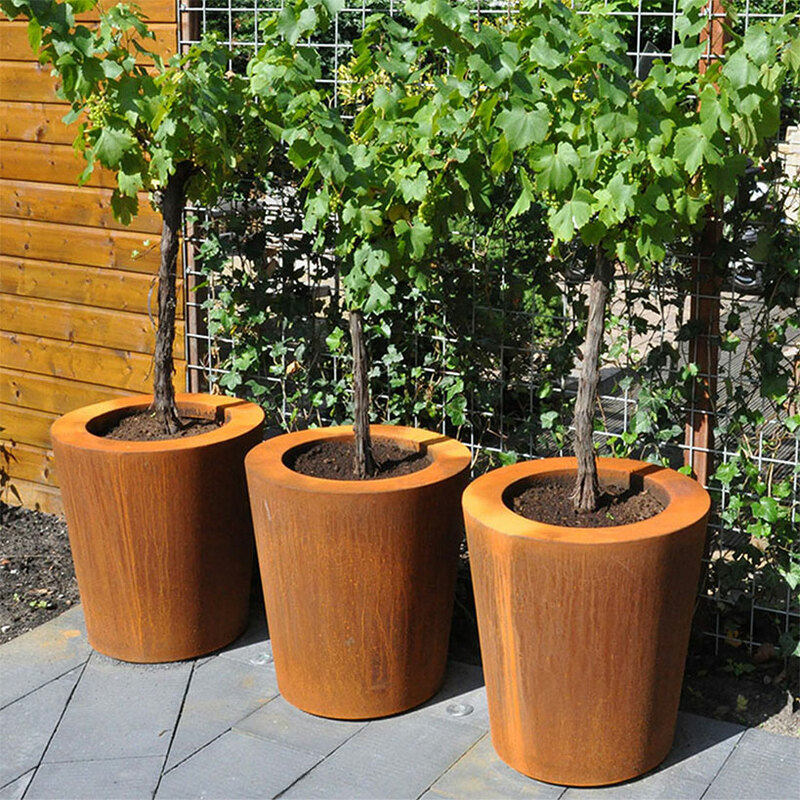 Corten steel is economical, long lasting, easily recyclable and is a zero maintenance finish, making it a very sustainable material and eco-friendly material. Even though its appearance is rusty, this rust forms a protective layer over underlying steel, preventing further corrosion once the rust layer has fully developed. 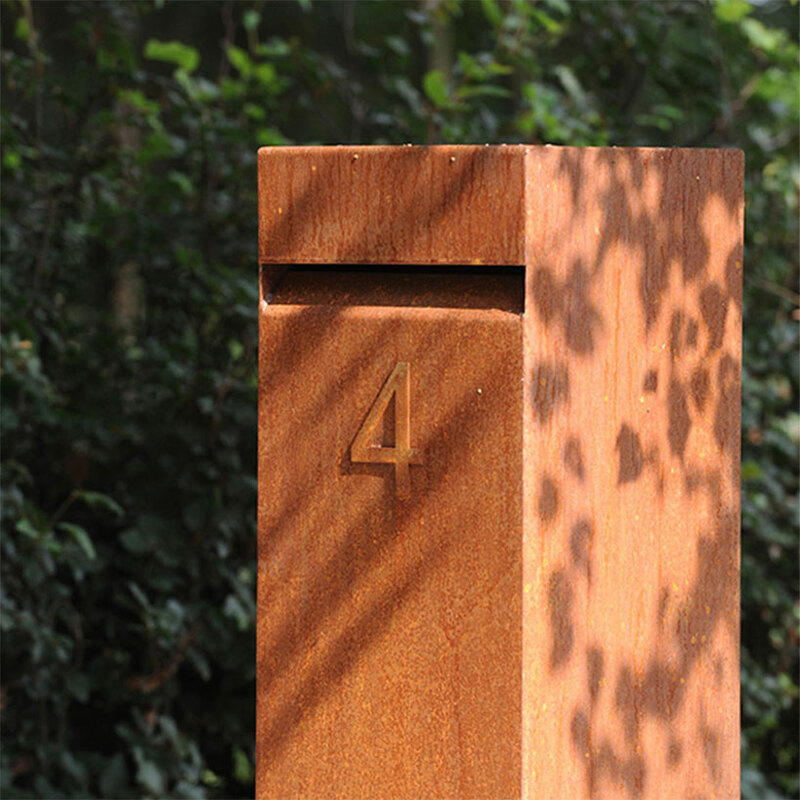 Corten steel has been fashioned into a huge variety of products for your outdoor space such as firebowls, planters, garden screens and even letter boxes. 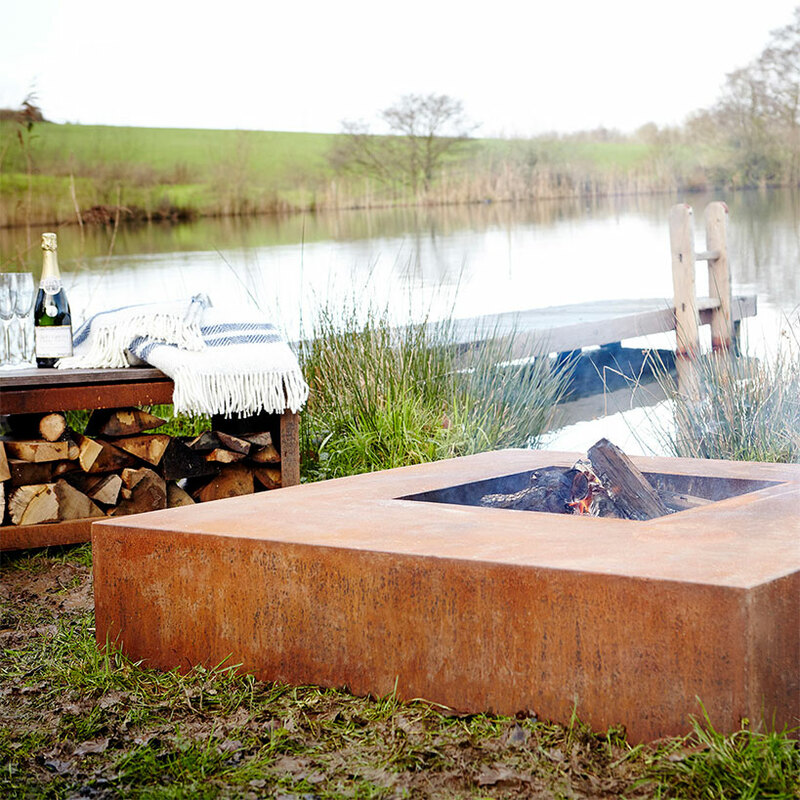 While many of our corten steel products are sold weathered, we do have some products and lines (such as the Flame Firebowls, our Adezz range, and our Stark & Greensmith garden screens which are supplied pre-weathered. 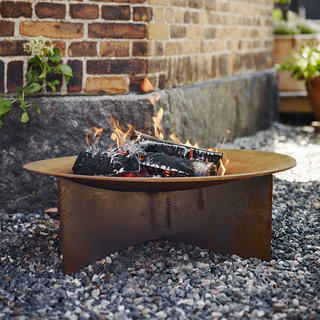 This means that the item will look like a typical steel product when delivered to you, but will begin to develop its rusty patina over a few weeks when left outdoors. You can speed this process up by rubbing the surface with salt and/or vinegar with a cloth. This material produces a carbon run off which may stain surfaces it is in contact with during the weathering process, especially stone or concrete. Ensure that all corten steel products are raised on small feet, lifting the product and preventing direct contact with the flooring material during the weathering process. We also recommend building a simple French drain to catch rust run off when installing corten steel screens. 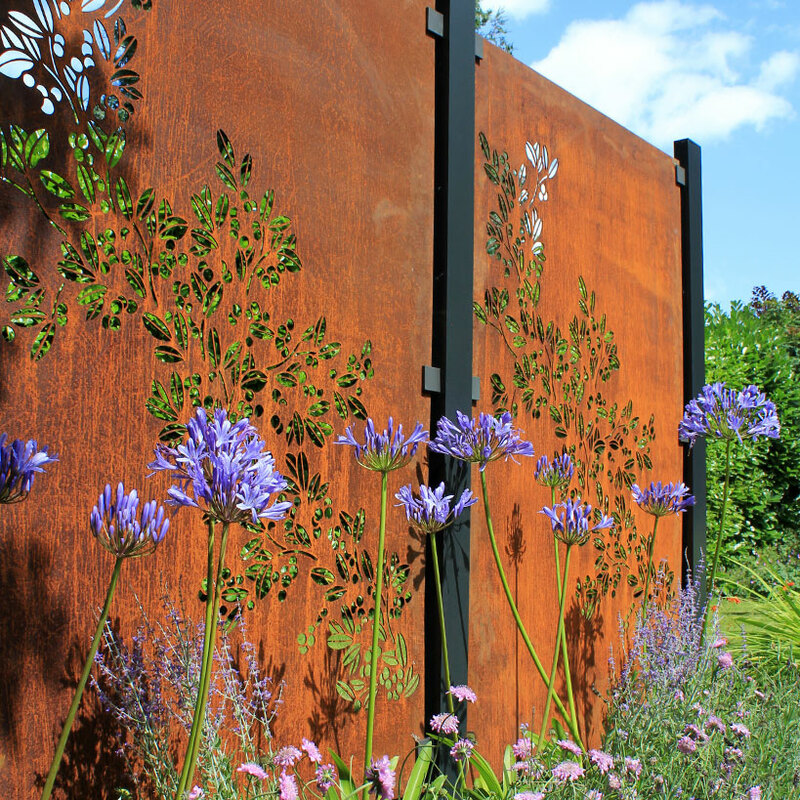 Please get in touch with us if you need any advice regarding corten steel or our products - we are more than happy to help! Our phone number is 03456052505, or you can email us at customerservices@worm.co.uk if that is what you would prefer.